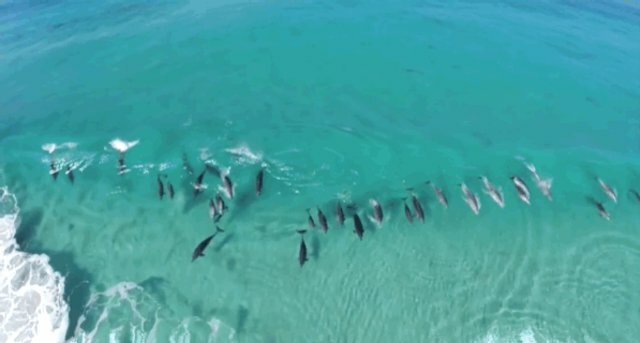 Chances are, you've never seen dolphins quite like this before: surfing by the dozens, from the vantage point of an aerial drone. 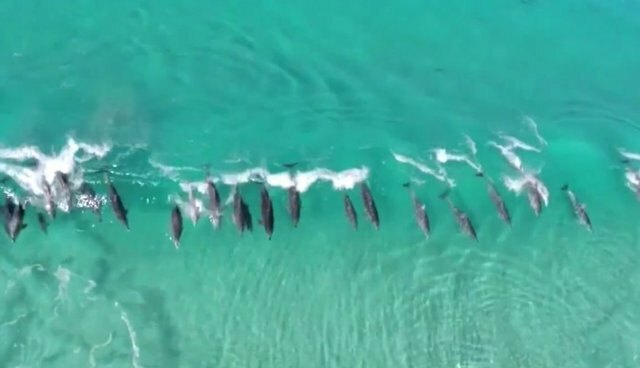 Researcher David Riggs had set out to film sharks with his camera-mounted quadrocopter in the waters off of West Australia, but what he captured instead was a jaw-dropping scene of a massive pod of bottlenose dolphins who, from the looks of it, are just out having a good time. 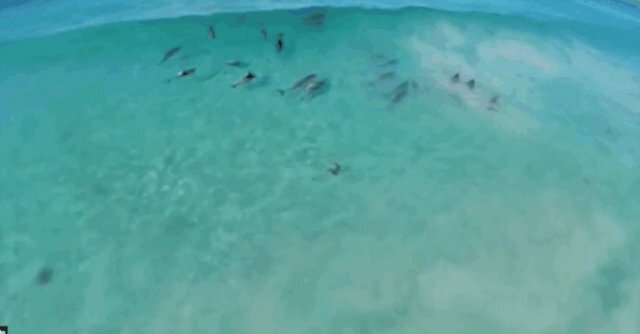 Riggs says more than 100 dolphins were in the group that day, lining up side-by-side to quite literally "surf" together on each passing wave. The pod can be seen waiting for the swell to build before dropping along the rolling barrel, just like seasoned pros. 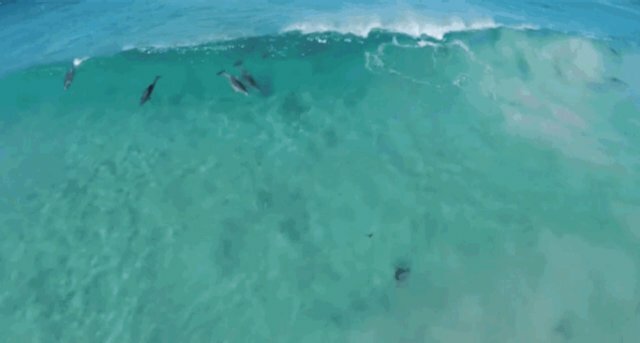 It might be impossible to say for certain what drives this remarkable behavior, though judging from the way they're frolicking and leaping from the waves, it's hard not to suspect that dolphins surf purely out of pleasure.